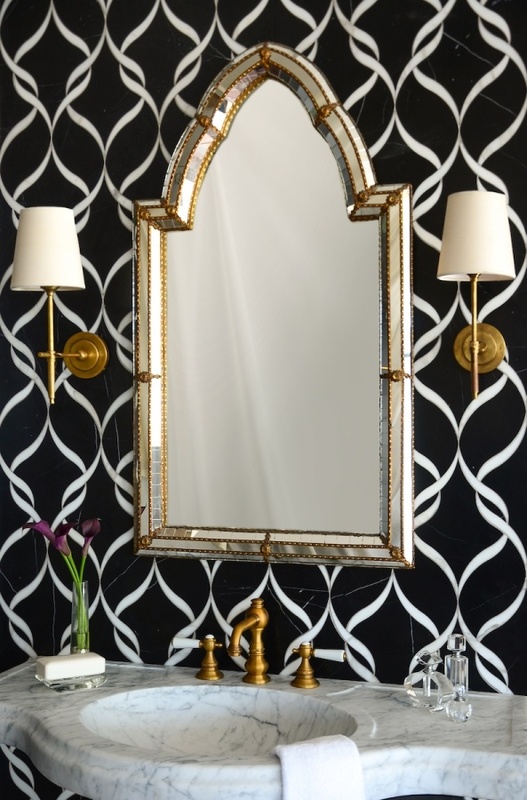 Black and white patterns work with a variety of tile materials. Some homeowners prefer durable, attractive porcelain. Others desire elegance -- a goal best accomplished with stone. Not sure which approach will work best in your home? Here are a few of the most popular options. Constructed from clay and hardened by heat, ceramic tiles are easy to install. Following years of dominance in modest bathrooms, ceramic may be an expected look, but it's far from played out. Beautiful glazing lends ceramic tile beauty and versatility. Notoriously durable and resistant to water, ceramic is a top option for high-traffic bathrooms. Generally not available in large formats, ceramic tiles require extensive grout lines. These can make diminutive bathrooms look even smaller. Grout is also difficult to clean. Ceramic feels cold on bare feet and can be uncomfortable during the winter, especially if you're not willing to place rugs or mats in your bathroom. Homeowners regularly use the terms "ceramic" and "porcelain" interchangeably. In reality, porcelain is denser than ceramic. It's also less porous, and therefore ideal for bathrooms. Love large format? You're the perfect candidate for porcelain tiles, which lend themselves well to larger dimensions. Forget about unsightly grime collecting in grout lines; large-format porcelain tiles are easy to clean and maintain. Porcelain's clean lines offer crisp contrast between black and white tiles. Although beautiful in its own way, porcelain lacks the unique movement and character associated with natural stone. It's easier to install than stone, but more difficult than ceramic. In certain applications (such as some second-floor bathrooms), its density could actually prove problematic. 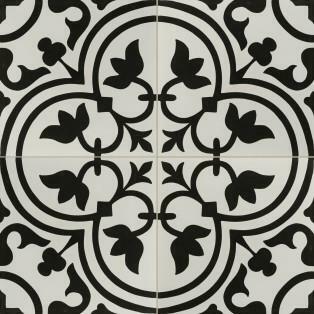 Several varieties of stone tile are available in black and white. Sophisticated homeowners prefer marble, but limestone and travertine are also excellent options. Classic stone tiles can make any home look more elegant. A bathroom decked out in marble or travertine could significantly increase your home's value. Stone's timeless appeal means that your bathroom will continue to add value in years and decades to come. You'll appreciate stone's unique character long after you've installed it in your bathroom. Tricky installation and varying attributes necessitate extra thoughtfulness as you plan for and install stone tiles. It's no secret that stone is expensive; there's no room in your budget for mistakes. Annual maintenance requirements mean you'll continue to spend far into the future. 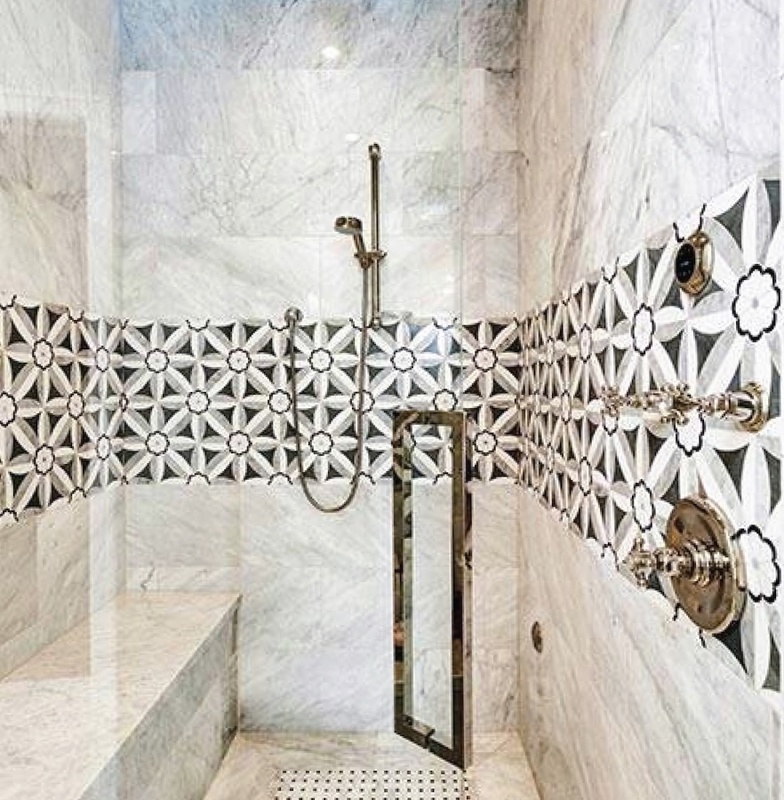 Patterned backsplashes add visual interest to showers and vanities. Classic subway is a safe option. Consider spicing it up with chevron or herringbone. Alternating blacks and whites provide a fresh feel, while monochromatic white can make a small room look sizable. Visually expand your bathroom with all-white walls and charcoal flooring. Use crisp lines to promote a clean, modern look that will never age. Play with shapes and textures to add dimension, especially in monochromatic bathrooms. For example, in small rooms, narrow black tiles offer a trendy vibe when contrasted with traditional white subway tile. You can go as bold or subtle as you want. Trendy patterns feature plenty of flair, while the right glaze adds subtle complexity. Diverge slightly from the monochromatic look with hints of a contrasting color. If you're sick of all-white subway tile but not willing to take on an adventurous pattern, inject subtle hints of black into traditional white subway backsplash. Marble implies elegance; its regal look is almost impossible to imitate with other materials. It's also one of the best options for increasing resale value. However, with a calm, upscale marble bathroom in your home, you won't be particularly eager to move out. Amp up the luxury by pairing black and white marble showers or flooring with contrasting black walls. If you prefer a bold look, let contrasting colors do all the talking. 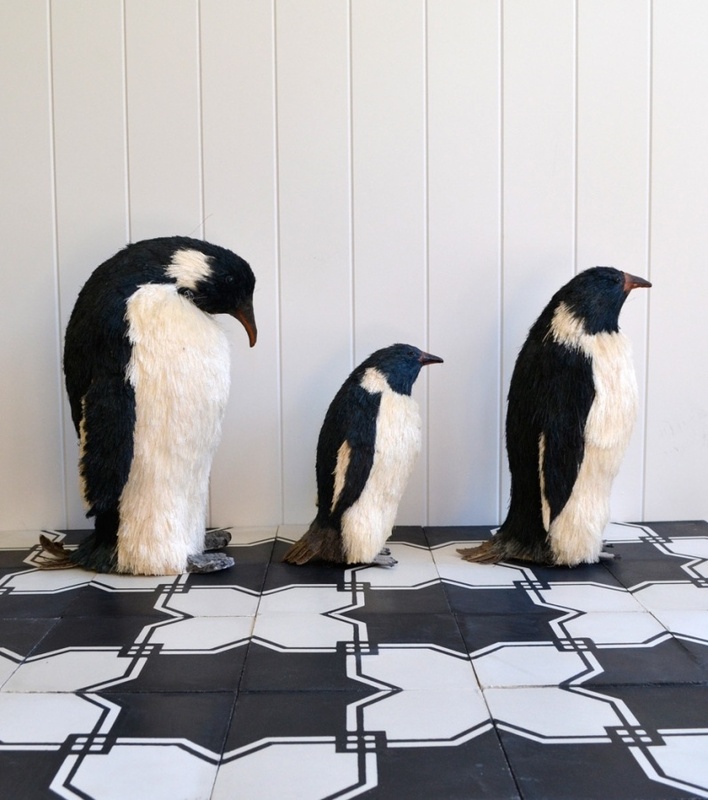 Competing elements such as additional colors or mixed patterns could draw attention from your central feature: show stopping black and white tiles. With black and white, simplicity is most effective. Eliminate distractions to direct visitors' gaze to your backsplash or flooring. From sophisticated marble to durable porcelain, there's no shortage of options for your black and white bathroom. Plan carefully to score a look that's both in keeping with current trends and capable of standing the test of time. Explore our inspiration gallery for more design tips and insights. Contact us with any questions you have.